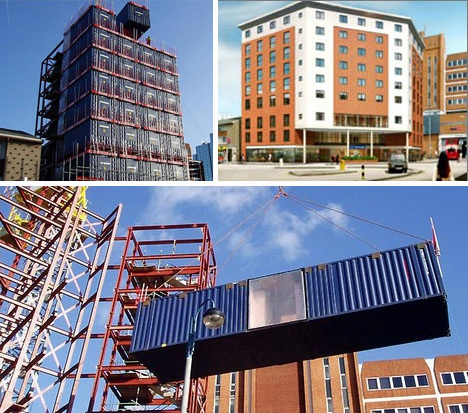 Travelodge has been an innovator in the area of container hotels. This hotel in Uxbridge, London was among the first full-scale commercial hotels in the world to use shipping containers in its construction. The units arrived from China pre-fitted with bathrooms.